We have the parts that are needed to fix your Toyota right the first time. Factory trained Parts Advisors will help you find the Genuine Toyota parts that you require. 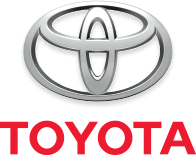 Use our parts order form to inquire or request a Genuine Toyota part for your vehicle. We offer our online customers great opportunities to save on Toyota Parts with offers on our Specials Page.